The Wide Boys were originally self managed, and then they were managed by Pete King (Fearless Productions) for a while, and went onto do some recording for Simon Cowell (then of EMI I believe) under the name “The Last Detail”. The band played a mixture of Reggae and Rock, and the driving force was Simon Smith, who wrote most of the songs. 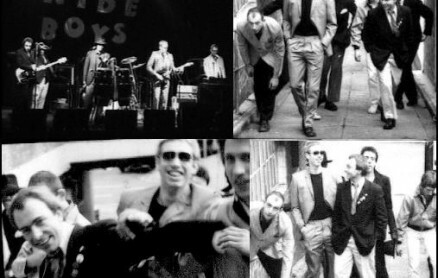 Various people passed through the band during its time, and the band toured the university circuit extensively, did the usual pub gigs in Brum, a couple of gigs down in London (Electric Ballroom and Dingwalls) and appeared on a BBC TV programme, which was recorded in Manchester. The band released a single on the Big Bear Record Label (Jim Simpson) in 1980 called “Stop That Boy” The B side was “Heart of Stone”. The band was also included in the EMI album “Bouncing Back – A Birmingham Compilation” (1980) with several other bands including, UB40, Steel Pulse, Fashion, Steve Gibbons Band, and several other bands. The Album track was called “Forty Million”. 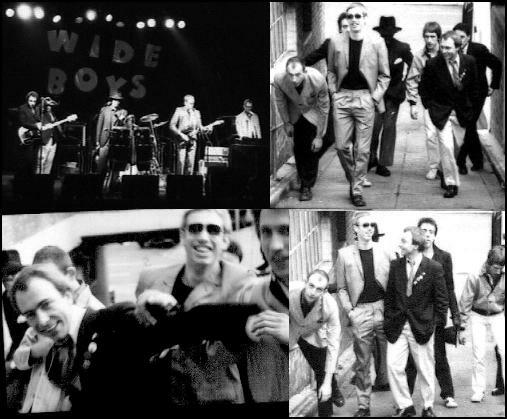 The Wide Boys supported UB40 on several occasions, and both bands were based (at their beginnings) in Trafalgar Road, Moseley. In fact, as the Wide Boys started gigging before UB40, on more than one occasion UB40 were support act to the Wide Boys.